At first glance, it will be difficult to spot the differences among various types of gutter systems. However, when you pay close attention to their structure, you’ll notice how these metal channels differ from one another. For instance, you can come across sectional and seamless gutters. While these two share similar functions, they aren’t the same, performance-wise. In today’s post, find out what makes seamless gutters a superior choice. 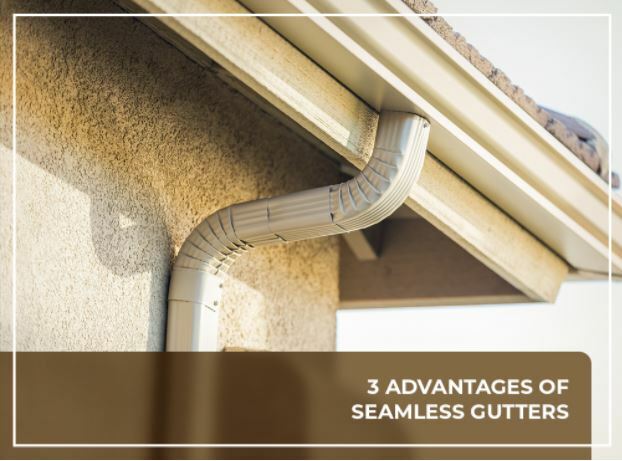 While it’s true that you need to think of your budget when installing a new gutter system, you also need to think of the product’s quality and performance. Sometimes, it pays to spend a little more money on high-quality items than on economical yet subpar ones. For instance, sectional gutters are less expensive than seamless gutters, but in terms of functionality, the latter outweigh the former. That’s because sectional gutters tend to be leaky since they are made of separate metals. In contrast, seamless gutters are custom-built, so they come in one, solid piece, making them less prone to leakage. With seamless gutters, gutter cleaning will be much easier. They minimize the risk of clogging, which can help preserve the structural integrity of your home. Seamless gutters are tailor-made, unlike sectional gutters. They can easily match your rooflines and provide a clean look. You can also choose from the wide array of colors depending on your preferences. On the other hand, traditional gutters tend to look tacky. Get in touch with your local gutter contractor to help you pick the one that suits the architectural design of your home. Advantage Seamless Gutters, one of the leading gutter contractors in the area, installs heavy-duty gutter systems to safeguard your home. Call us today at (218) 212-1818 for Baxter, (218) 692-2663 for Crosslake and (320) 421-8726 for Alexandria.